The two liquor initiatives on the ballot are way more mysterious than they seem. Do you want to be able to buy Jack Daniels at the grocery store or not? It seems simple, but the two initiatives posing this question on the November ballot are more complex than they seem. Both initiatives — 1100 and 1105 — would get the state of Washington out of the liquor business, which it has controlled since the end of Prohibition in 1933. But neither initiative does only that, towing along a string of other potential changes to the way we drink in Washington. The measures’ contrary coexistence on the ballot is making for strange political bedfellows, too — ostensibly uniting cocktail-sippers and libertarians on one side, with pro-government bleeding hearts and teetotalers on the other. That’s not even to mention who’s actually paying for the measures. Under Initiative 1100, all state liquor stores would close by 2012, the state liquor distribution system would be shut down and the board would no longer be in charge of setting and controlling prices. Taxes on booze would remain, but away would go the state’s per-bottle markup (a source of funding for state and local governments), as the current, regulated, three-tier system of producers, distributors and retailers is dismantled. Though an independent group wrote 1100, it’s funded mostly by Costco, along with Safeway and Walmart. These companies would like the opportunity to sell Seagram’s, sure, but they have an even larger interest in the ramifications of disassembling the three-tier system and getting rid of price controls. Under the current system, the state requires that beer and wine (but not liquor, which the state buys and sells itself) be sold to distributors and retailers at the same price. It doesn’t matter if you buy in huge bulk. You pay the same price as everybody else. Under 1100, the Costcos of the world could use their enormous buying power to demand lower prices from brewers, wineries and distillers. “ exclusively favors the success of massive companies whose model is discounts,” Buty Winery owner Caleb Foster told the Seattle Times last month. Not only that, but the law would no longer require the booze to flow through distributors first — Costco could save money by buying directly from producers. Opponents (who are funded largely by beer and wine wholesalers) say that’ll crush the little retailer who doesn’t have the same leverage and the producer who can’t afford not to give in to the big box stores’ demands, destroying the level playing field. But supporters say that’s the beauty of 1100. Bach sees 1100’s deregulation measures (almost all of which were recommended by a joint task force of producers, retailers, law enforcement and others in 2006) as the logical rollback of archaic, Prohibition-era rules. 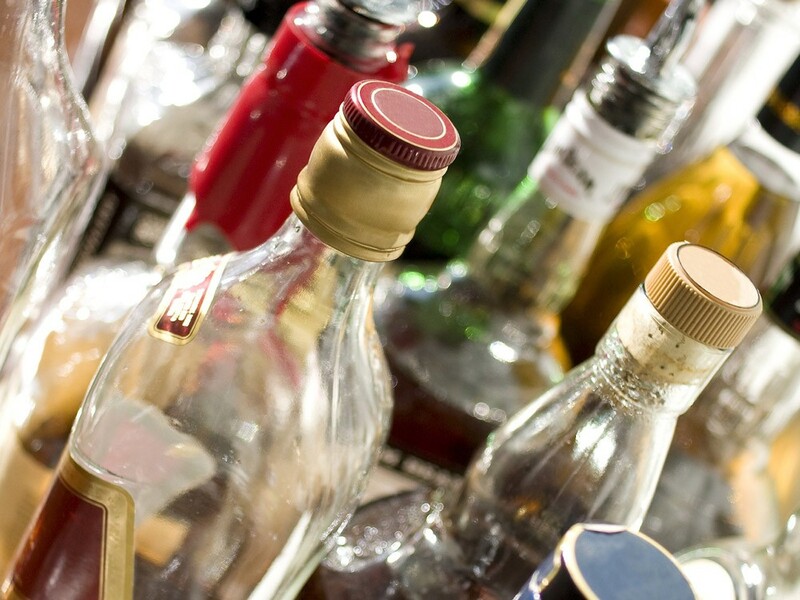 Washington would join 32 other states with privately run liquor systems. But even if Bach can convince skeptics of this, budget questions remain. The state’s Office of Financial Management estimates that 1100 would cost state and local governments $277 million over five years. This, at a time of deep recession, when legislators in Olympia are trying to make every budget dollar count. Like its counterpart, I-1105 would also put liquor in privately run stores, but with one sizeable exception: It doesn’t go much further than that. It doesn’t touch regulations on beer and wine, the prices of which would still be controlled by the government. It also doesn’t do away with the middleman distributor in the beer and wine chain (see diagram). It does, however, require a middleman for the order and delivery of spirits — a role filled today by the state government. The measure, bankrolled completely by two out-of-state national distributors that are (no doubt) eager to get their hands on a new market, also allows bulk discounts for spirits. That fact is underplayed, though, by the Washington Citizens for Liquor Reform, which prefer to focus on their promise that 1105 would actually make money for the government. While their measure does away with the sales tax on liquor, it directs the Legislature to levy a new tax (on distributors) that they say would make up for the loss. While Neuman and her supporters promise a bonanza for the state, and 1100-pushers acknowledge that the Legislature could always raise taxes to make up for lost revenue, both sides also gesture toward two of their ballot mates. Similarly, Initiative 1098 (which would levy an income tax on the top-earning 1.2 percent of Washingtonians) could also change the budgetary landscape, though it’s less clear exactly how this will affect the privatization initiatives — especially if Eyman’s initiative also passes. So what happens if both 1100 and 1105 pass? According to Secretary of State Sam Reed, either the Legislature or the courts would work out a compromise between the two victorious measures (though probably favoring the one that won more votes). For those generally supportive of the liquor initiatives but wary of their wide scopes, this might be the best possible solution, as it would force the Legislature (which has refused to touch the issue of privatizing alcohol since Prohibition) to do something, and possibly to do it with more moderation and care (and less corporate self-interest) than the initiatives could muster. If, on the other hand, both initiatives fail, don’t expect the Legislature to entertain the idea of liquor reform again for a while.